The greatest gift I ever received wasn't a diamond, it wasn't money, it wasn't a car – it was the plainest gift imaginable: a lowly jewelry cleaner. The Elma Ultrasonic Cleaner LC20H came to me as an engagement present and I treasure it. It keeps all my gems sparkling clean. 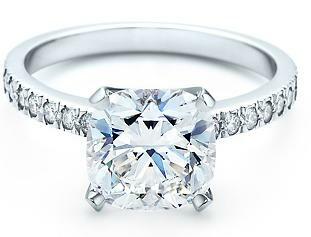 Yes – my husband purchased a lovely diamond for me when we were engaged, but the compliments I get on the stone aren't just because it's stunning, they're because it is never seen dirty. I'm a Seventh Generation kind of girl – I like a toxin-free house, but for my gems I'll make an exception. The cleaner works with a mixture of Mr. Clean, ammonia and water. It reeks for a full day every time I change the liquid. Smell or no, it really works. A gentle shake of the ultrasonic and my ring looks as good as new. Though none of my diamonds are are as gigantic as one pictured above, at least they'll always sparkle just as much! Photo above is from ringoblog.com. Jewelry is available at all pricing and quality levels, but you can buy a piece of real jewelry without breaking the bank. Consider your lady's favorite gems, her preference for silver or gold, old or new. From sterling silver, platinum, gold, and gemstones – the possibilities are endless. Gifts of jewelry are universally liked by all women, and one may unhesitatingly choose an item of jewelry to please a woman despite being unaware of her style or taste. Jewelry made of precious metals, like gold, can be very pricey. Sterling Silver jewelry is still the real thing, but it's much less expensive than gold. There's a type of silver that's still fairly new, but it has some very good properties. It's called Argentium Silver. It costs a little more than regular sterling silver, but it tarnishes much slower. And when it does tarnish, it's a soft yellow color that's easily removed with soap and water. So your sweetheart won't have to use harsh chemicals to clean it. Each sterling silver charm can be adorned with up to 6 crystals (up to 3 on each side of the heart). They are separated with sterling silver daisies. This bracelet features a solid gold heart tag design with a toggle clasp to ensure proper security. If giving as a gift, it's sure to melt the heart of the one you love! With no beginning and no end, the Celtic Love knot represents infinity and the unending love that binds two people. Carefully handcrafted in 900 Silver with an impressive turquoise cabochon. I hope my suggestions have made your jewelry-buying experience quicker and easier. Jewelry is a very appropriate gift any time of the year. Whatever you buy her, I'm sure your special lady will be pleased because you bought it especially for her. OK, all you guys out there, listen up. Valentine's Day is fast approaching, and it's time to look at gifts for all the women in your life – your Mom, wife, daughter, fiancee, or friend. A thoughtful gift that tells her just how much you appreciate her. Candy is soon eaten. Cards get stashed in a drawer. Roses die very quickly. What could be a more appropriate gift than jewelry? It's relatively inexpensive. And, depending on the quality you buy, jewelry can last her a lifetime. Every time she looks at it, she'll think of you. So let's get started. These are my suggestions for Valentine's Day gifts for all your lovely ladies, And so you don't have to dig too deeply into your wallet, most are very affordable. This ring features a mesh motif that is made of solid .925 sterling silver and features an open heart emblem that adorns the center of the ring that gives this ring that feminine, romantic touch. The flexible band adds a special feel to the ring while still keeping it quite comfortable to wear. This is the perfect gift to melt the heart of the one you love. Hearts are the universal symbol of love, and heart-shaped jewelry is a classic gift that women appreciate any time of the year. Giving jewelry for Valentine's Day is traditionally meant as a token of love. Yet, finding the right jewelry gift is almost an art in itself, and men often rely on saleswomen at mall jewelry counters to help make their choice. This necklace is a stunning combination of solid .925 sterling silver and 14-karat gold vermeil. Its dramatic design features a triple heart centerpiece – each in a different color. 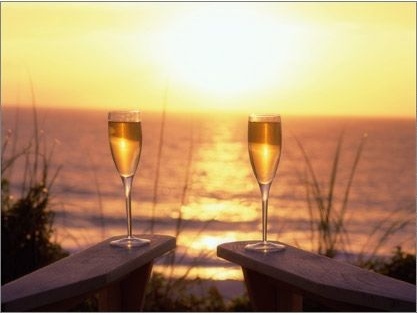 From silver to bronze to gold, the words today, tomorrow, and forever are engraved on the hearts. This eye-catching pendant reminds us that true love really does last a lifetime. The best tip for all the shoppers who are purchasing a Valentine's Day jewelry gift is to first get a good feel for your Valentine's tastes and preferences. Listen when she expresses her likes and dislikes when it comes to jewelry. Watch what she wears. Is her taste classy and elegant or more bold and flamboyant? Pay close attention, and you will have a pretty good idea of what she likes. This delicately etched dichroic glass heart is simply strung on a chain for a clean and elegant look. Buying jewelry online from an jewelry designer is a very easy and safe way to buy a gift. Just do a Yahoo or Google search for "designer jewelry," and you'll be amazed at the results. The selections are great, and if you pay close attention, you can find an independent jewelry designer who designs and makes her own jewelry. So you'll have a better chance of finding a truly unique gift. Time to go holiday shopping and you can shop down Ruby Lane and find all kinds of great hand-crafted jewelry for sale. Pictured above is a fine silver and genuine ruby box pendant crafted by jewelry artist Laura Hastings of Eclectica. This is just one of a number of artisan created jewelry pieces I saw over there, so get yourself a cup of java and be ready to do some relaxing shopping at home while everyone else is elbowing their way through the mall and icky discount stores! Who doesn't love to have a tiny gift or two in your stocking, especially something that glitters? Or maybe you are looking for some affordable baubles to give to a few special co-workers or your child's teacher or the baby sitter. So, you want something pretty and not pretty pricey. I found a number of little bargains over at the Relios Jewelry web site in their gifts under $24 section. These earrings are only $9.99. These sterling silver earrings display the beauty of mosaic inlay. The sterling silver design is a slim rectangle with a sterling silver floral design in the center. Natural turquoise chip inlay surrounds the flower. Here's a bracelet for $11.99. Simply elegant, one size fits most stretch bracelet has a unique combination of fresh water pearls interspersed with genuine gemstones. Stones include purple amethyst, green garnet, yellow citrine, rose quartz, turquoise and a sterling corrugated bead. Amanda Jaron spent years designing for other big name companies like Avon, Givenchy, Tommy Hilfiger, and Jones New York before she decided to open her own company and make jewelry for her own customers. I like the fact that while she's got plenty of high-end jewelry for those that can afford it, she also has a large selection of more affordable jewelry designs from her Studio Sterling Collection. So she has a range of prices and tastes for everyone, thus making gift-giving – which is mucho important right now folks – a lot easier. For example, there's her Perfect Present Ring in platinum with white and black diamonds. But, then there is also her Perfect Present Ring in sterling silver and semi precious stones. Plus, she's a blogger to boot! If you haven't started your holiday shopping yet, then time is a' wasting and there is lots of shopping to be done! I'm actually in pretty good shape so far this year as far as my gift list, but I'm still looking for a few last minute items, so web shopping is the way to go. I hate shopping in crowded stores. One place I've been looking around today is the Mondera web site. They have a really wide range of price points as well as jewelry styles. 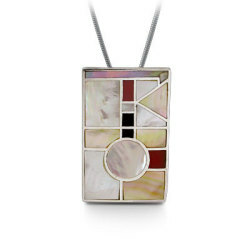 For example, pictures left is a "Sterling Silver Geometric mother-of-pearl and Coral Pendant," that goes for $120. But, if you want something with more glitz, possible for yourself of course, then these hoop earrings may be the way to go. They've got a lot of sparkle going on to say the least. They are made of 18kt white gold and diamonds. I usually think of pearls when I think of Mondera, so it was just interesting to look at some of the other jewelry they sell too. Everyone has the book lover on their gift giving list. But, the problem with buying books for book lovers is that they may already have the book. Though I count myself as a Bibliophile, I also don't like people giving me books unless I can give them my wish list of books because invariably they won't buy something I like. Not that I haven't gotten one now and then that hit the mark, but on the whole, it's better to steer clear of book buying for others and stick with jewelry buying. Fight censorship and show your support for the right to choose. Designed with the American Library Association's Office of Intellectual Freedom, this bracelet features six books that have often been banned or challenged, including The Color Purple, To Kill a Mockingbird, and Alice's Adventures in Wonderland. 1" wide bracelet on strong, stretchy elastic fits most wrists. So how did the mom's out there do this Mothers' Day with their jewelry haul? Did you bring in some bling or did you just get an empty card with best wishes? There was a noticeable difference between what consumers planned to purchase just a few months ago and what they actually bought for Mother's Day, according to a study of 2,767 e-panelists of the Jewelry Consumer Opinion Council (JCOC) conducted May 30 to June 8, 2007. A big shift, from 2006 and March 2007 Mother's Day studies and post-sales reports, was in the prevalence of silver jewelry purchases. In March, just 16 percent of JCOC panelists who intended to buy jewelry for mom thought they'd purchase silver, while a quarter said they actually did-twice as many of those who thought they'd buy silver and six percent higher than those who actually did in 2006. Consistent with last year, though, yellow gold jewelry remains a favorite gift for mom for about one third, but sterling silver beat out white gold as second best this year. Moreover, while earrings and necklaces remain the top two most preferred jewelry gifts in both pre and post studies in 2006 and 2007, this year more watches and bracelets were purchased. Read more of this report at the JCOC web site.